Sumatra may not be the first stop on many travellers' Indonesian itineraries, but this island is still a very popular tourist destination and boasts some fantastic attractions and activities that will appeal to all kinds of people. Depending on the pace you want to set, a trip to one of the Mentawi islands, Batu or Nias Island is a must as they are fantastic locations for surfing, windsurfing and scuba diving. Those wanting something a little more relaxing will love a cruise down the Siak River back in West Sumatra. The holiday resort of Lake Toba in the north makes the perfect location for a relaxing holiday break, while the glistening Lake Maninjau offers retreat from the bustling tourist-packed beaches and frenetic outside world. A hike to the Mertua Waterfall in Pekanbaru is a must for all nature lovers, as is a visit to the Kerinci Valley and National Park which boasts a remarkable collection of Sumatran Rhinos. 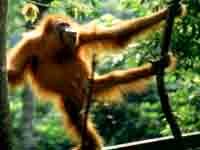 For a brush with orangutans, visit the Gunung Leuser National Park in the north, or for the ultimate wildlife experience, visit the Burbak Wildlife Reserve near the strait of Melaka to view clouded leopards, Malayan sunbears, otters and gibbons. 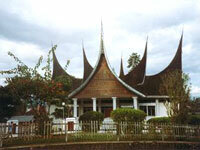 Bukittinggi, which served as headquarters for the Japanese army during WWII, is worth exploring to visit the King Palace, Tuo Belimbing Mosque, or even Lake Singkarak. With all these great attractions and so much more, visitors will find there is more to this popular island than just its abundant natural beauty. 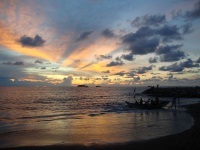 We are looking for contributors for our Sumatra travel guide. If you are a local, a regular traveller to Sumatra or a travel professional with time to contribute and answer occasional forum questions, please contact us.